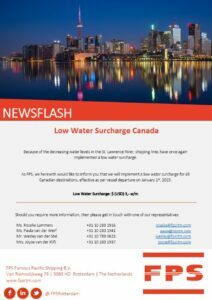 Shipping lines have once again implemented a Low Water Surcharge (LWS) for exports to Canada. This, because of the decreasing water levels in the St. Lawrence River. 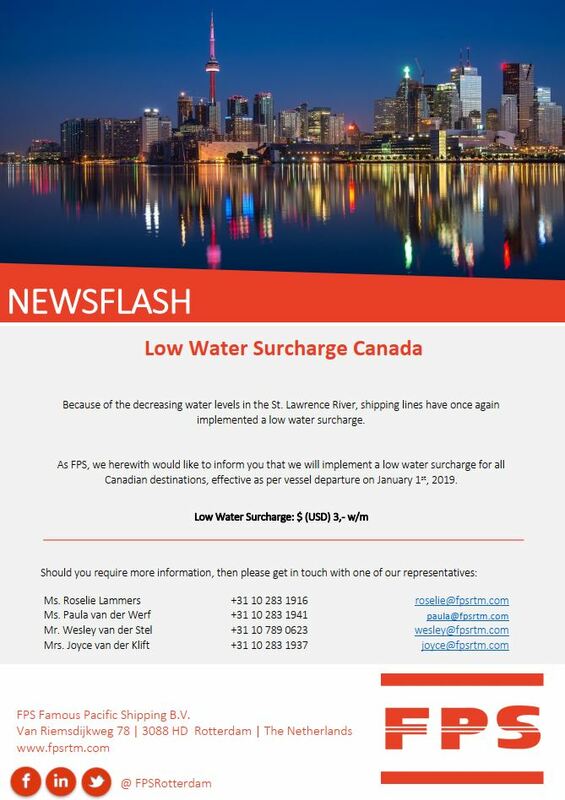 As FPS, we herewith would like to inform you that we will also implement an LWS for all Canadian destinations, effective as per vessel departure on January 1st, 2019.